I enjoy making my own candles and of course this means that I want to make a nice wrapping. 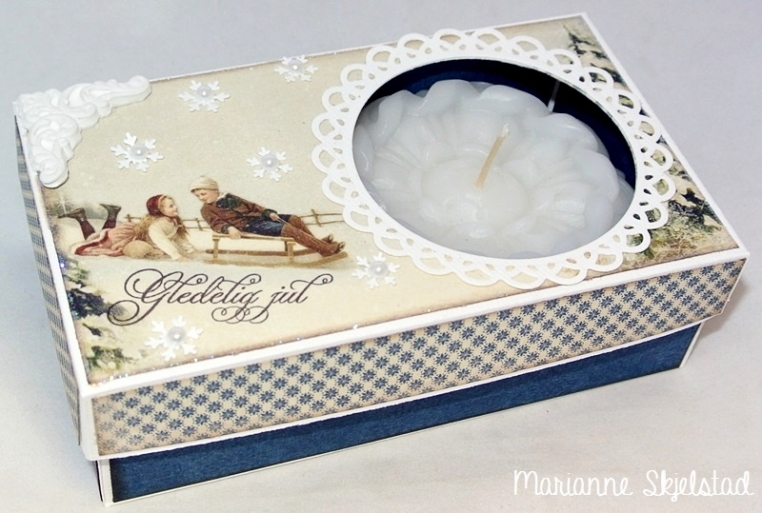 Here is a box with a window where you can see the candle. I have used the blue toned papers from Wintertime in Swedish Lapland. 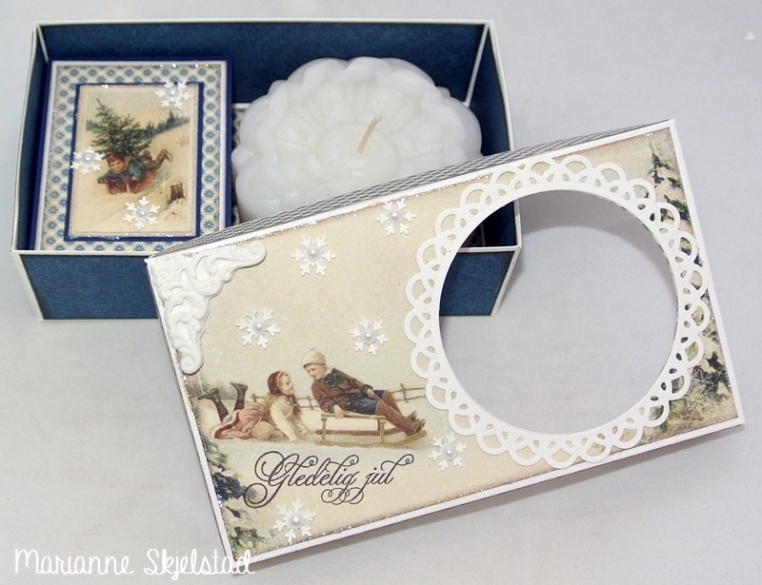 Here is the inside of the box and as you can see I have made a matching matchbox from the small 6×6″ sheet Nisse.